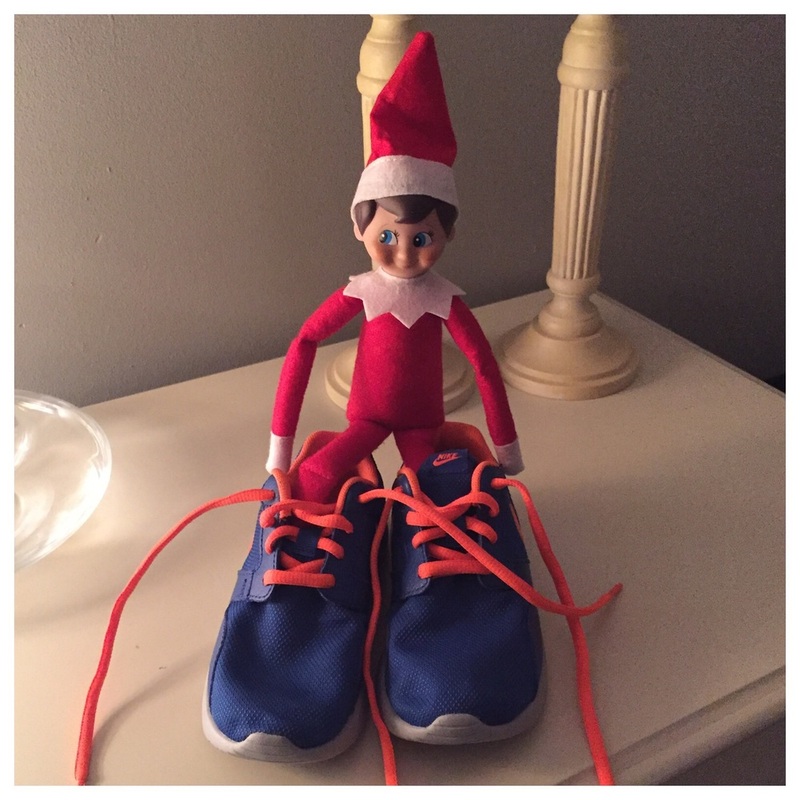 Elf Claus is trying Oliver's new trainers out for size . Oliver and Charlotte struggled to find Elf Claus this morning, they were convinced he must have stayed in the North Pole with Santa last night. 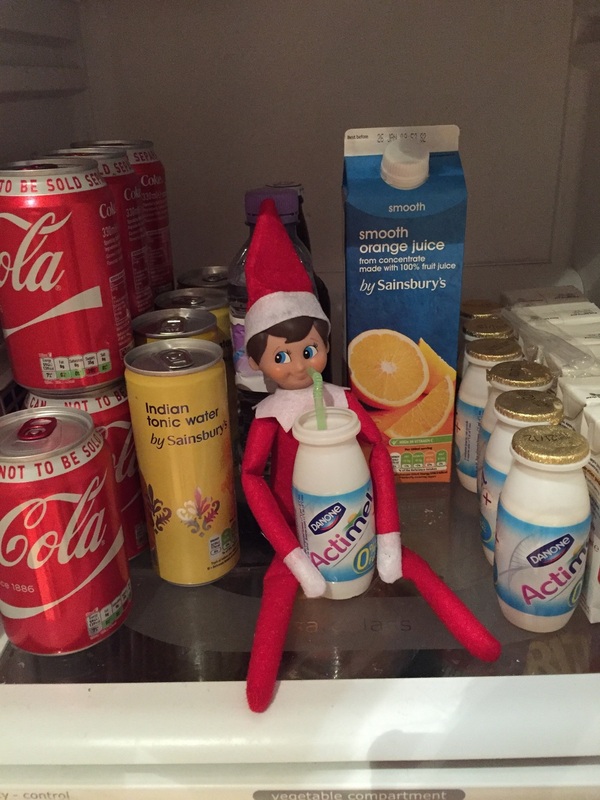 Oliver was very surprised to see cheeky Elf Claus had already beat him to get his morning Actimel. 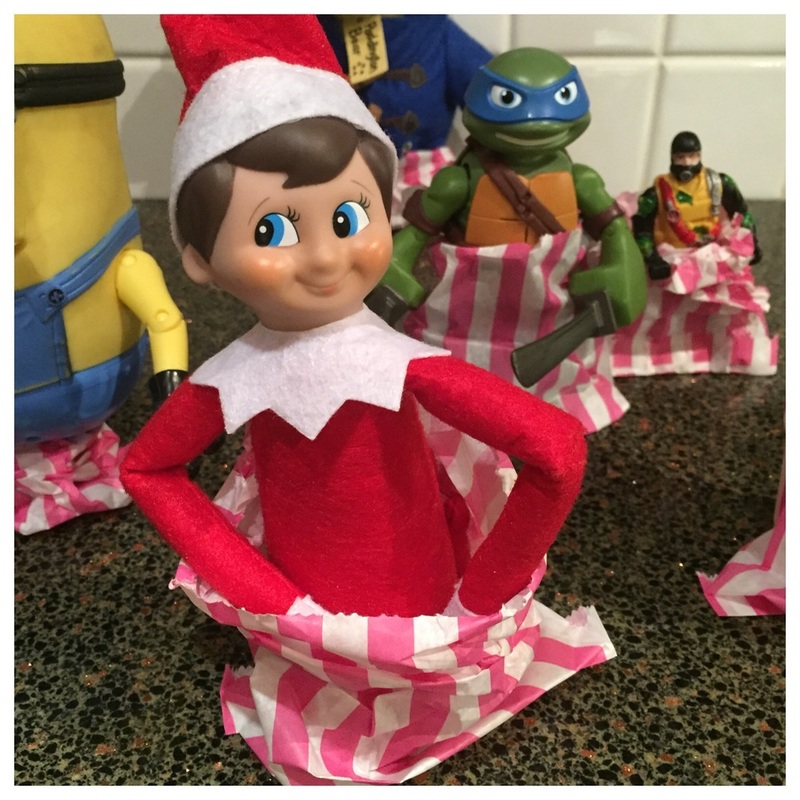 Oliver and Charlotte raced down yesterday morning to find Elf Claus in the kitchen with Oliver's Other toys having a sack race! He really does have so much fun! 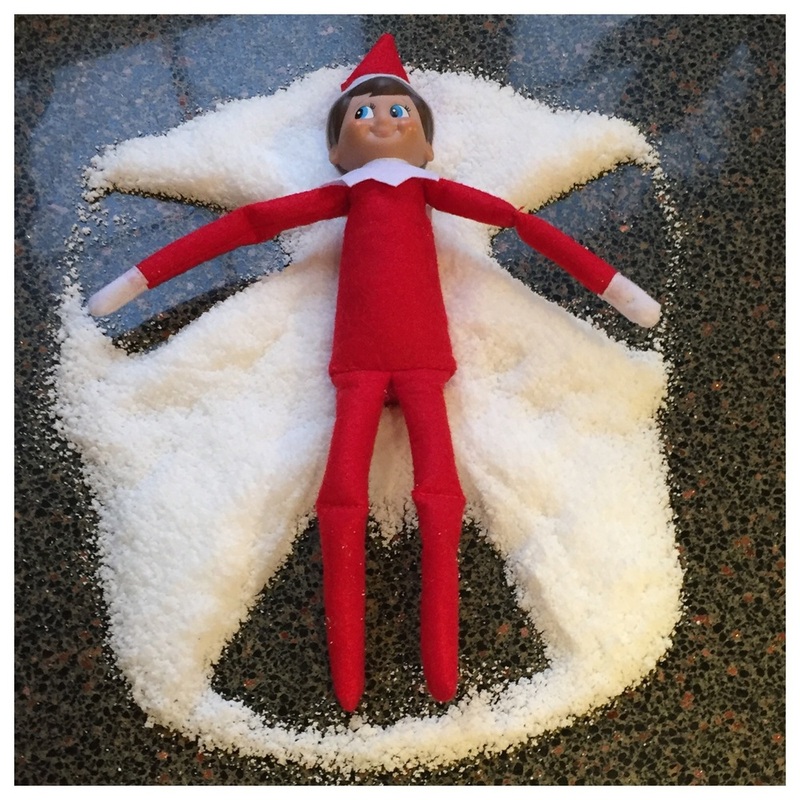 Super Elf has clearly had a busy night playing with the Spiderman, Turtles and Elsa from Frozen. 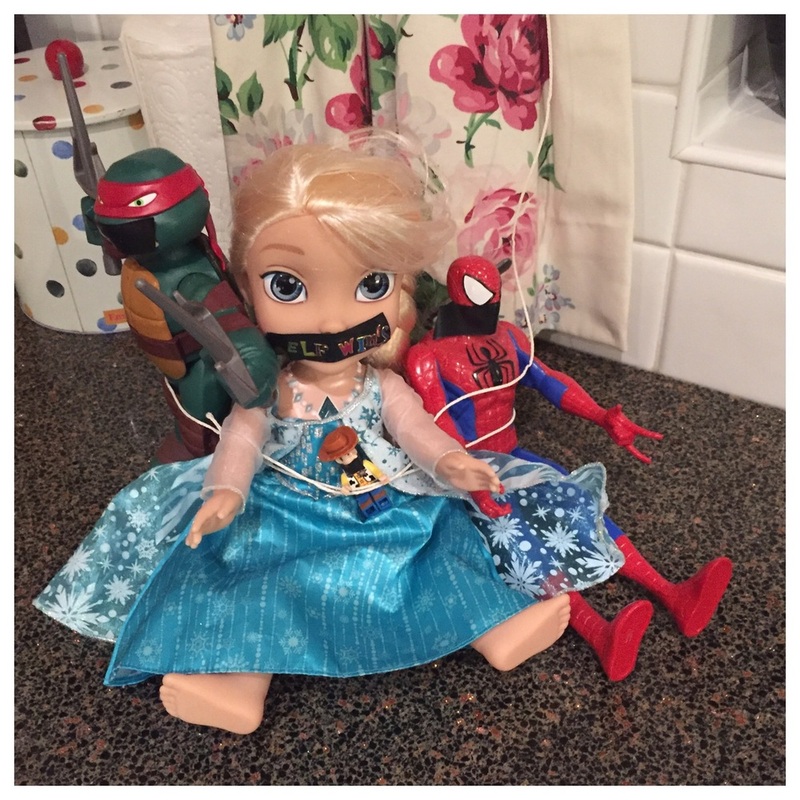 You often wonder what toys get up to when you are asleep but now we know! 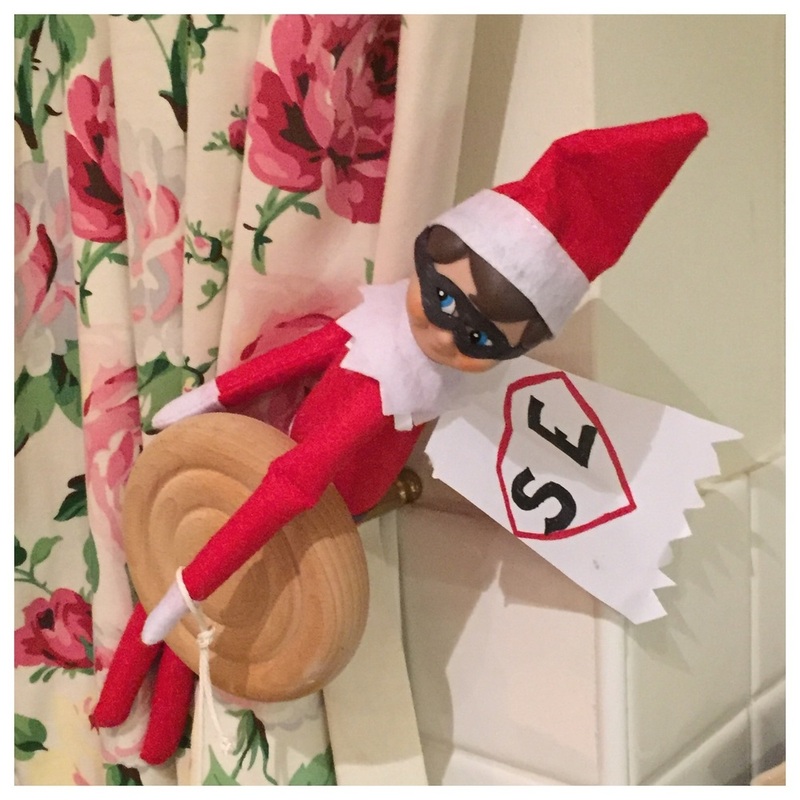 Don't forget to share your Elf pictures with us!